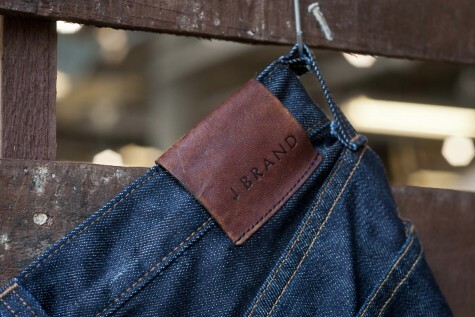 Fast Retailing Co., Ltd., owner of LA-based denim maker, J Brand has announced plans to launch a new subsidiary company, J Brand Japan Co., Ltd. to capture Japan's rapidly growing demand of premium denim. J Brand is set to create and begin developing the company's brand name premium denim in Japan towards the end of this year. This move by the brand's new Japanese-based owners, Fast Retailing Co., Ltd. is a natural step in the development of J Brand in the quickly expanding apparel market in Japan. Demand for high quality, premium denim has been on the rise for quite some time in the global apparel industry. In Japan, the explosive growth in online shopping for fashion & apparel items alone will reach an estimated $10 billion by 2015. That figure represents a significant growth in the total size of the market for apparel in Japan. J Brand makes their premium denim jeans at the renowned Cone Denim White Oak Facility in Greensboro, NC. Cone Denim has made a durable, old-fashioned style of jeans called selvage denim for 107 years and has clients the likes of Levi's, True Religion, and J. Crew to name a few. This look is characterized by the emerging style of rolled up bottoms displaying the continuous, uncut edge that is only possible to create using this high-quality production method. Demand for selvage denim is on the rise worldwide, and Japan's booming market for fashion & apparel will serve as a lucrative arena for J Brand. Fast Retailing Co., Ltd. is among the elite apparel holding companies of the world. The company's primary subsidiary, Uniqlo has aggressive international expansion plans and close to 1,000 store locations already in operation worldwide to back growth efforts. With 700 Uniqlo stores in Japan alone, Fast Retailing is more than equipped for a strategic roll out of J Brand product lines. Japan is known in the apparel industry as one of a handful of countries in the world outside of the United States where high quality selvage denim is still readily produced. Fast Retailing's Uniqlo has offered premium selvage denim jeans in Japan since 2007, and it's to be expected that some of J Brand's denim production will shift to selvage denim suppliers closer to Japan to make for more efficient supply chain structure. This will allow J Brand Japan Co., Ltd. to operate on much higher margins than competitors brands that typically import the majority (if not all) premium denim to Japan. Demand for high quality denim is still strong in Japan. Japanese culture is very centered around fashionable style, designer labels, and owning the highest quality apparel items. With explosive growth in both retail and online sales in the fashion & apparel sector, J Brand will bring a renowned US brand name to the market to meet this demand. J Brand is widely known in the US for its introduction of the dark-washed skinny jean. The company created the global market for this style of denim and drove the trend worldwide. Frequent collaborations with well-known fashion designers and a presence in luxury retailers in more than 20 countries worldwide has made J Brand a staple in the premium denim industry. Do you think J Brand's launch in Japan will be successful?